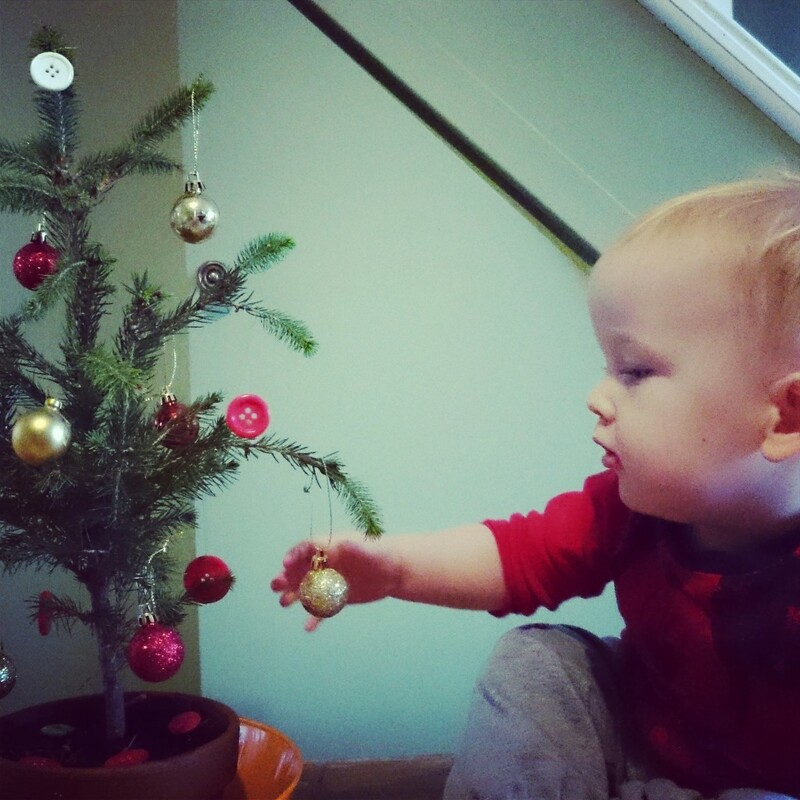 I’ve realised that I never actually blogged about Dexter’s First Christmas so I thought I’d mix it up a bit and do a little Christmas series this year and include some of the things we got up to last year. By this time last year my house was already beautifully decorated and that bezzie mate of mine, ‘Christmas Spirit’ was definitely here for the season! This year, I’m just dying to get the decorations up but whilst we’re in the middle of redecorating the living room, I just simply can’t start. There is no point in me even going into the loft just yet because with the amount of crap we just seem to have everywhere, I have no room for sparkle! Well!!! Those are words I never thought I’d say! I’ve tried to cure my Christmas itch by adding little touches where I can. We have a set of battery operated lights spiralling up the stairs and a set in each of the front windows. I’ve also brought in the little real christmas tree that Santa gave to Dexter last year during our visit to Baytrees Winter Wonderland (You can read about that here). He has helped me decorate it beautifully with mini baubles and buttons. Clearly the apple doesn’t fall far from the tree. Fairy tale of New York – I heard this in Mothercare about 2 weeks ago now. A classic song and a gentle way of easing in. One christmas song that nobody hates. Scrooge or not. Mistletoe and Wine. The epitome of Christmas classics. Still waiting on hearing this one so we’re not quite in full Christmas mode in our house yet. But almost.. Anyway, I’ll leave you with those thoughts for now. I need to help Dexter with his letter to Santa. Another thing I had already done by this time last year! Honestly! I feel Like the White Rabbit!